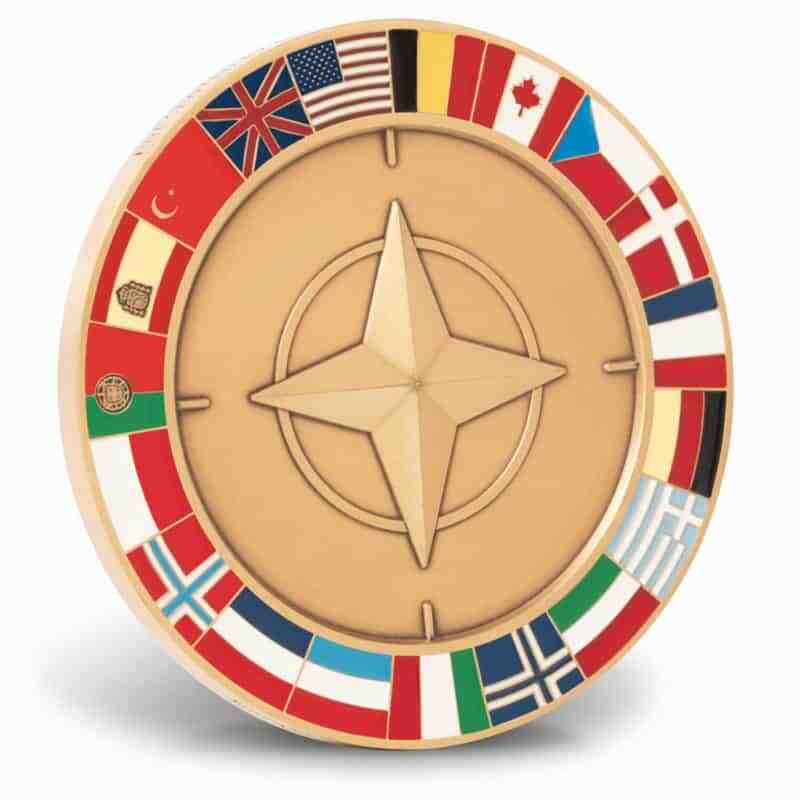 NATO Summit – C. Forbes, Inc.
Amidst the pomp and circumstance of NATO’s 50th Anniversary Summit in Washington, D.C., C. Forbes was commissioned to design a medallion at the request of the Department of Defense – Secretary’s Office of Protocol. 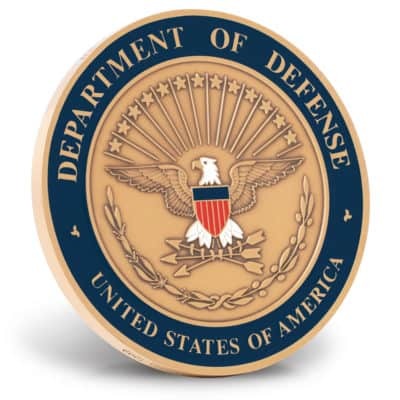 The medallion was presented as a counterpart gift from Secretary William Cohen. Each medal, decorated by hand, pays tribute to the 19 countries in the organization at that time. 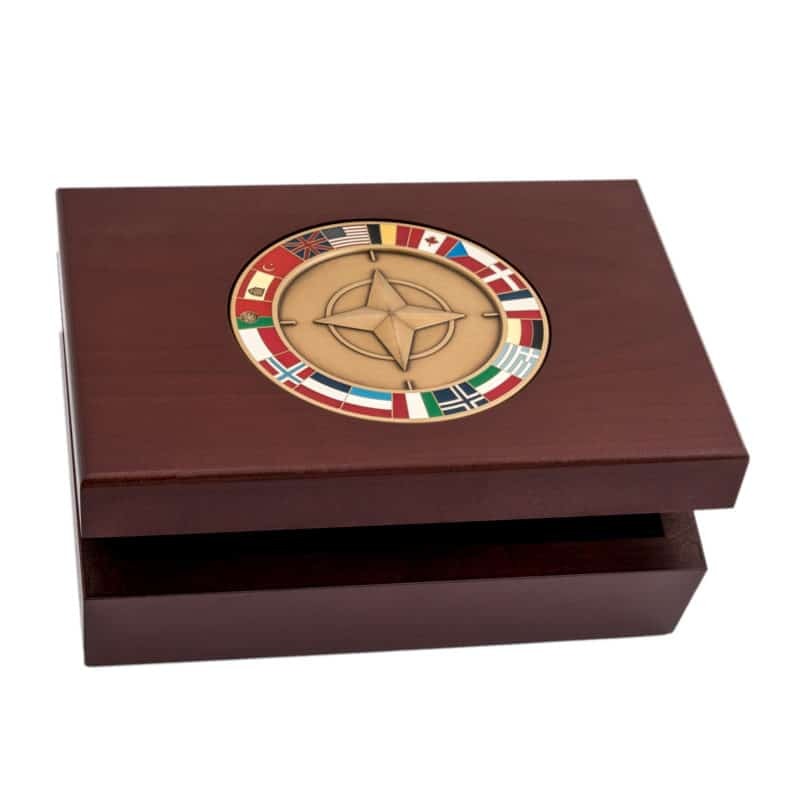 The 3 ½” medallion was recessed in the lid of a custom cherry wood keepsake box. In order to view both sides of the medallion in an upright position, whether the box is opened or closed, the dies were flipped for the production run. Wouldn’t it be fun to know what is now being stored in each of the boxes?